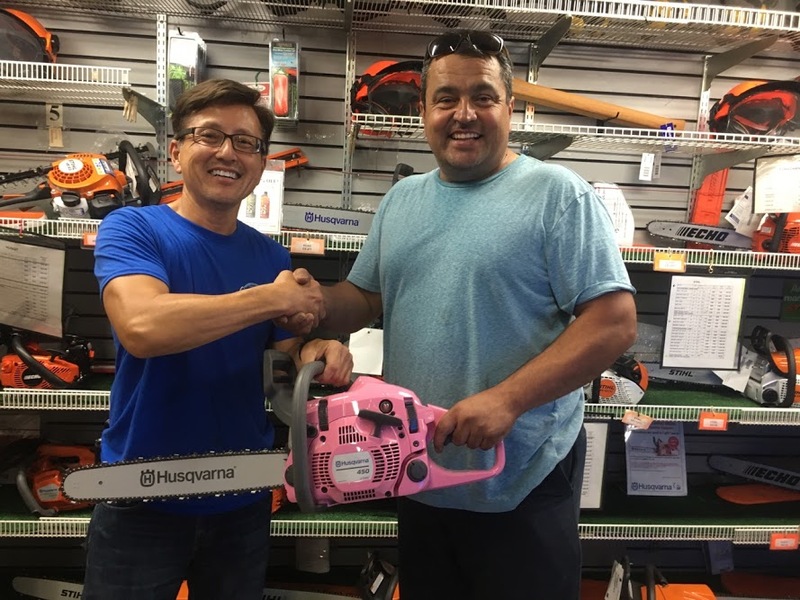 August 28, 2017 – Congratulations go out to Eduardo Rocha who won a Limited Edition Husqvarna 450 Rancher chainsaw from the Relay for Life Raffle. Brian Santo from Gardenland created the Relay for Life raffle drawing as a fundraising activity to raise donations and awareness to fight cancer. $1,335 in donations were collected donated to fight the deadly disease. 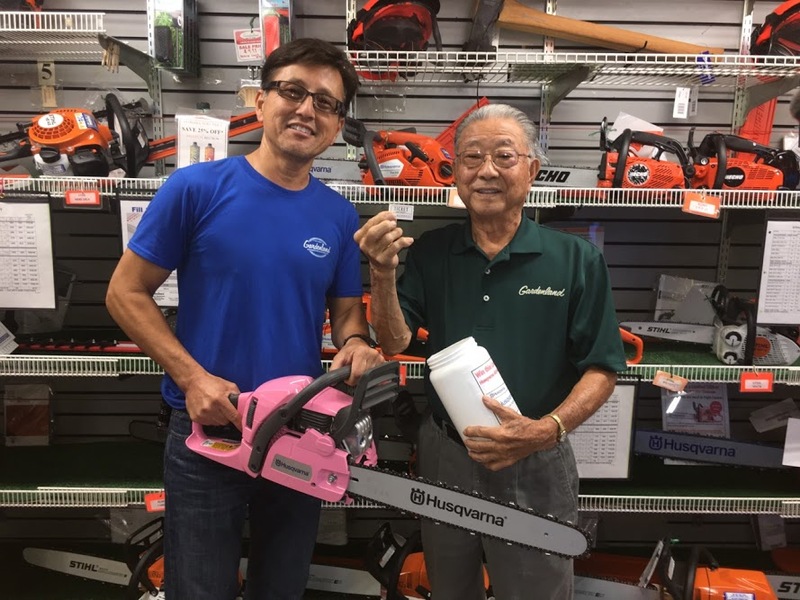 Ray Matsumoto, Gardenland’s founder pulls the winning raffle ticket. Brian got involved with the Relay for Life Organization last year when he lost his cousin Cynthia and Auntie Ruth after they both lost their hard fought battle with cancer.